The success of Carrick-on Shannon as a leading inland waterways resort on the north Shannon is well known at home and abroad. Now that it is so well established with boat hire firms, a private marina, a large modern passenger vessel, and row boats for hire, together with shore-based developments, some may assume that it all happened by accident, but not so. From the early 1950s, a dedicated group of local enthusiasts in the angling club were promoting Carrick-on- Shannon to the UK coarse angling market. This they did mostly, if not solely, at their own expense. They included Alan Dunne, William Craig, and Seamus Peyton, all now deceased. In the late ’50s and early ’60s, when interest in boating on the north Shannon was developing, another group of similarly minded enthusiasts promoted the area through the Inland Waterways Association of Ireland. These stalwarts spoke with the owners and crews of visiting boats, welcoming them to Carrick, and offered help and advice. Basic necessities like fresh water and litter bins were provided, soon followed by a slipway. Tommy Flynn (RIP) offered to deliver groceries to the quay (a service now provided by all the main supermarkets), and petrol pumps owners did likewise. This was before diesel engines became common, and before riverside petrol or diesel pumps were installed. My own family offered free showers and baths (in the Bush Hotel) to boating visitors. Consequently, Carrick became known as a place where boaters were very welcome. A UNANIMOUS DECISION 50 years ago this month, on Thursday 11 November 1954, a meeting was held in the town hall, with Thomas Burke presiding. 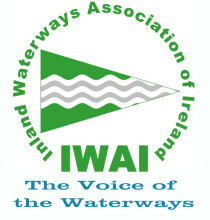 The meeting was held with a view to forming a branch of the Inland Waterways Association of Ireland, whose object was to advocate the use, maintenance and development of the inland waterways, and in particular, to promote the restoration to good order of every navigable waterway, by both commercial and pleasure traffic. The meeting made a unanimous decision to form a local branch. The following officers and committee were elected: Chairman: Thomas Burke; president: Rev Stenson; vice-president: Raymond Laird; secretary: J McNaughton; treasurer: Hugh Gardiner; committee: Rev McCauley, Rev Gilfinnan, Pat Dunne, Laurence Keaveney, John Dunne, Herbert Harman, Thomas Flynn, Alan Dunne, James Clyne, Joseph Mooney, and Brendan Doherty. Meetings were held on a regular basis over the next two years, but the branch then appeared to enter a dormant phase, until a special general meeting of the Carrick-on-Shannon Yacht Club (CYC) was held in the Bush Hotel on Monday 27 September 1960. It was decided to amalgamate the CYC with a revived branch of the IWAI, and the following were elected: Chairman and secretary: TF Maher; vice-chairman: Bill Child; treasurer: Angus Dunne; committee: W McGarry, E Burke, G Dunne, E Barry, J Keaney, W Whyte and W Winter. By December of 1962, the Carrick branch had helped to organize the first two Shannon Boat Rallies, had installed two water points and one hose reel on the quay, and had decided to organize a work party to clear the Kilglass Cut. CAMPAIGN ACTIVISTS Over the next few years, the branch was active in the campaign to save the Grand Canal, and members also started to promote the idea of re-opening both the Lough Allen Canal, and the Ballinamore and Ballyconnell (B&B) Canal. Together with members of other branches, they attended meetings north and south of the border, in an attempt to influence the powers-that-be. When eventually, the restoration of the B&B Canal was mooted as a flagship project, much of the groundwork was done by the Carrick branch. Today, the Carrick branch continues to organize rallies, mini-rallies, lobby the authorities on a national level to re-open more wate rways, raise funds for the RNLI, monitor riverside developments, protect the interest of boat-owners, and endeavors to have the facilities for all river users improved and upgraded.